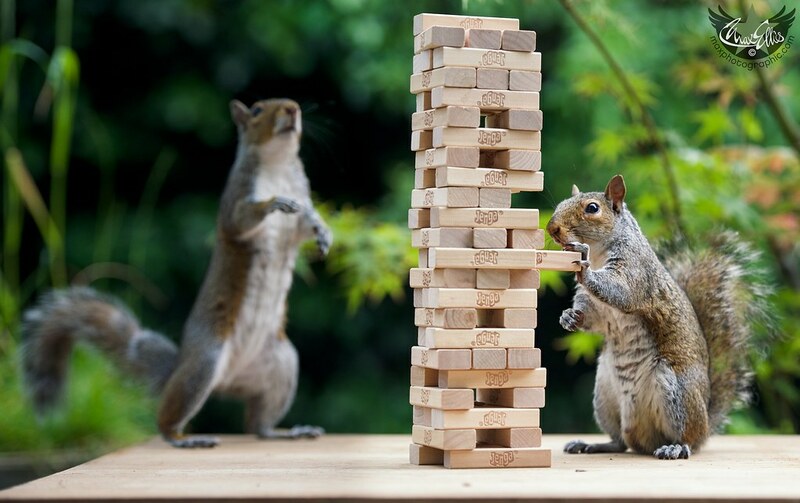 London photographer Max Ellis may not know what the squirrels in his backyard are going to do next, but there’s no doubt it will be interesting. 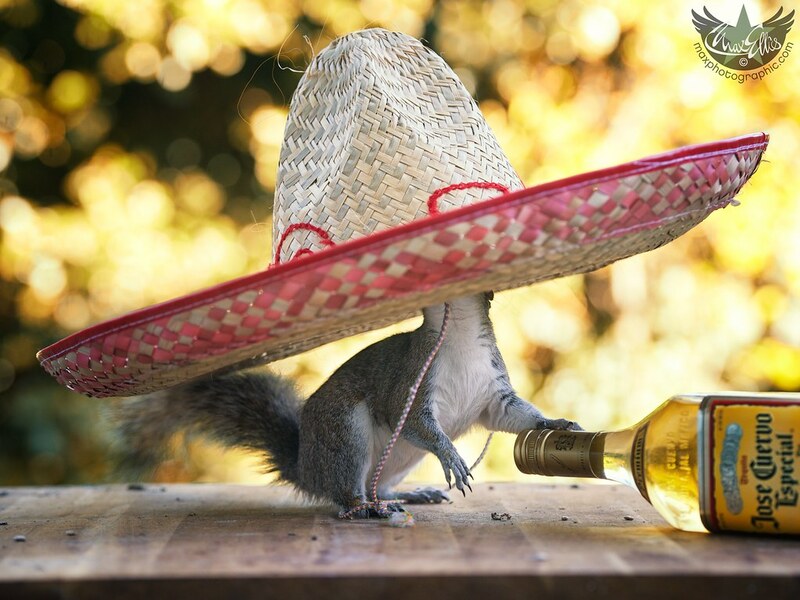 The Squirrelisimo series began when he was looking for subjects for a daily photo blog and noticed squirrels playing with items his family had left in the backyard. 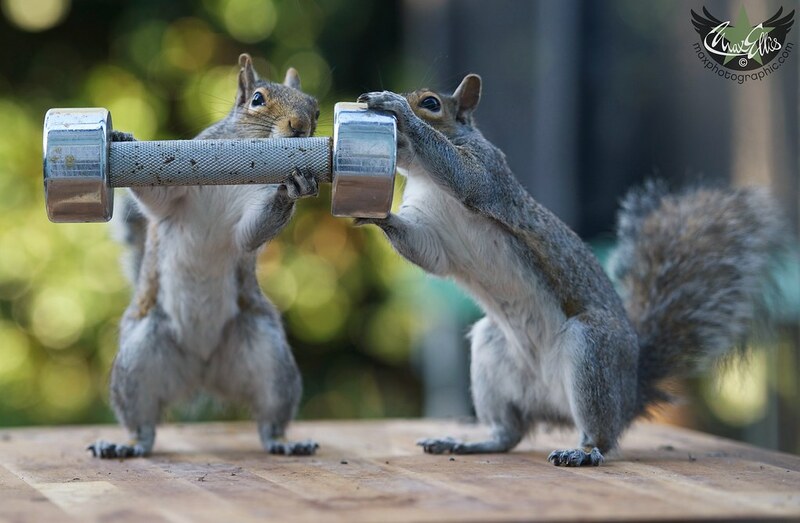 What began as simple snapshots of the playful animals has since garnered an international audience of people who wonder how he manages to create the scenes. 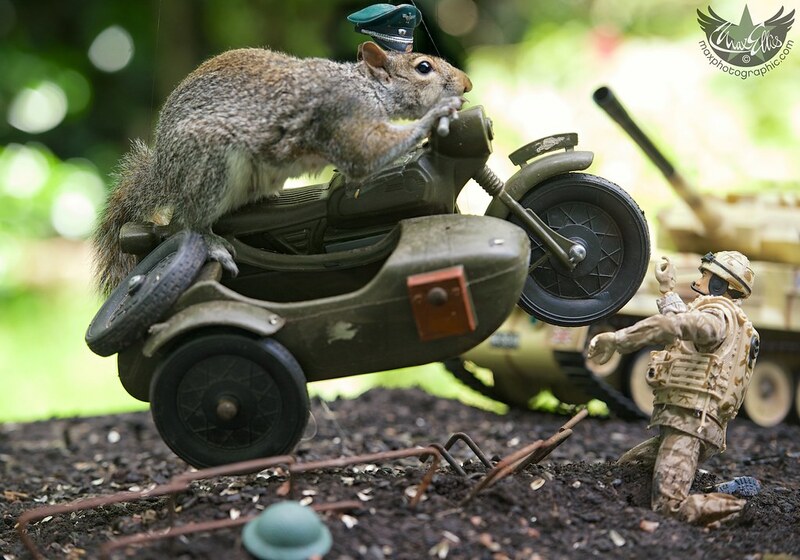 When he gets an idea for a scene, Max frequently begins with an Internet search for a squirrel-sized prop or toy. 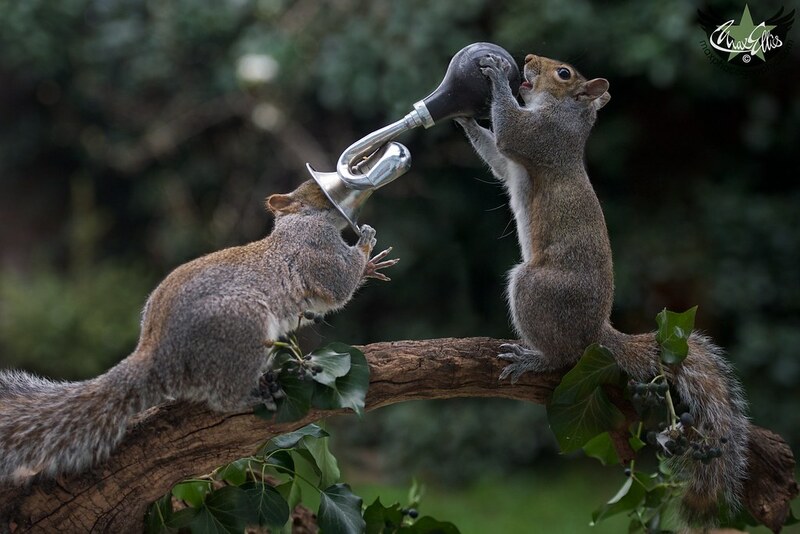 After applying food to his props, he positions or hangs the objects in his yard and retreats inside to wait until the squirrels arrive to explore. 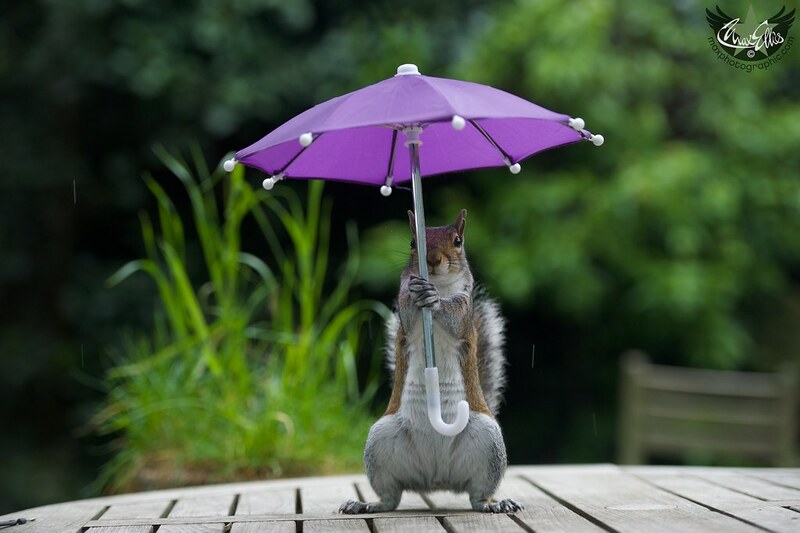 Using tiny instruments, umbrellas, repurposed toys and household objects, he has created a wide range of scenarios for the squirrels. And while the results are never predictable, they’re usually funny and endearing. 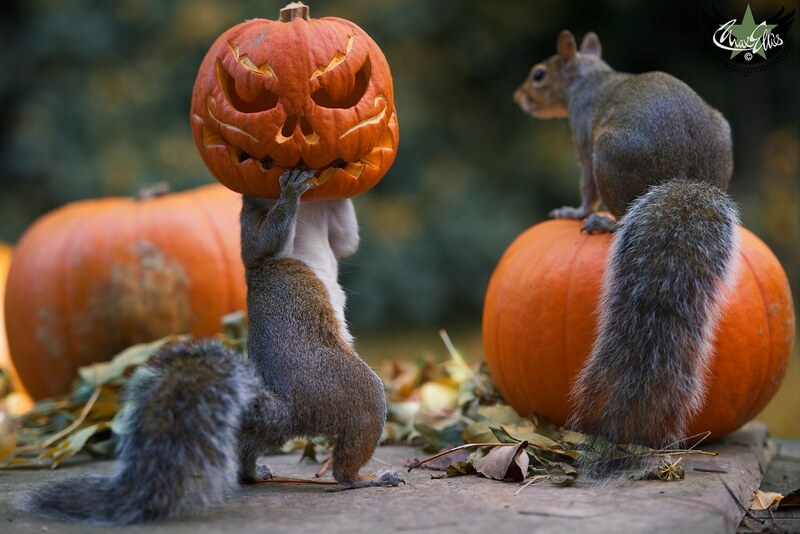 “One of my favorite ones was the squirrel with the pumpkin on [its] head,” he recalls. “I thought … it was just going to climb on it or look at it. But the squirrel got its head inside the [pumpkin], holding onto it and swinging around in a big circle.” Max laughed so hard he could hardly press the shutter. But the resulting image ended up garnering media attention around the world, and was a sign of the attention his work continues to receive. 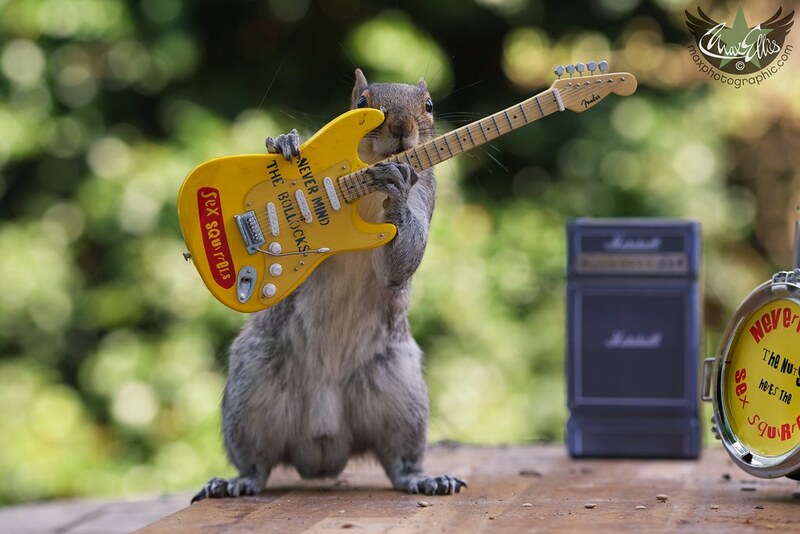 Max is now working on a book featuring Squirrelisimo. Visit Max’s Photostream to see more of his work. There are few things more beautiful than the red skies of the golden hour. Check out some photos from our latest gallery!